Ohh so, it's May and I'm talking about March stuff ....I'm a tad slow lately but sure, let's ignore that, yea? Life and all that jazz takes over sometimes. I couldn't help myself but re-subscribe to My Little Box again. 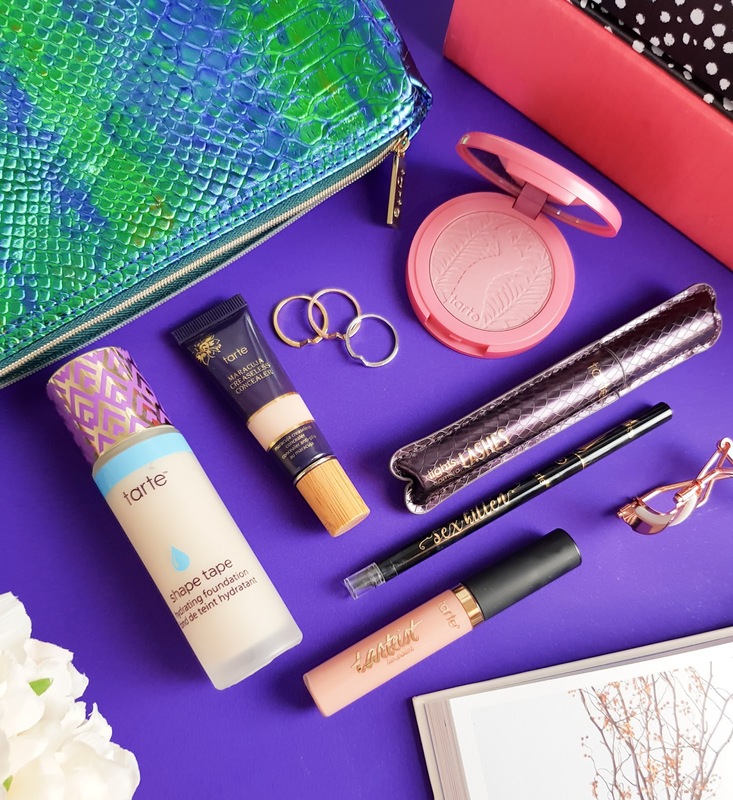 It's the one subscription box that brings beauty, lifestyle and cuteness together in one place and I just couldn't resist it and boy, am I glad I did. 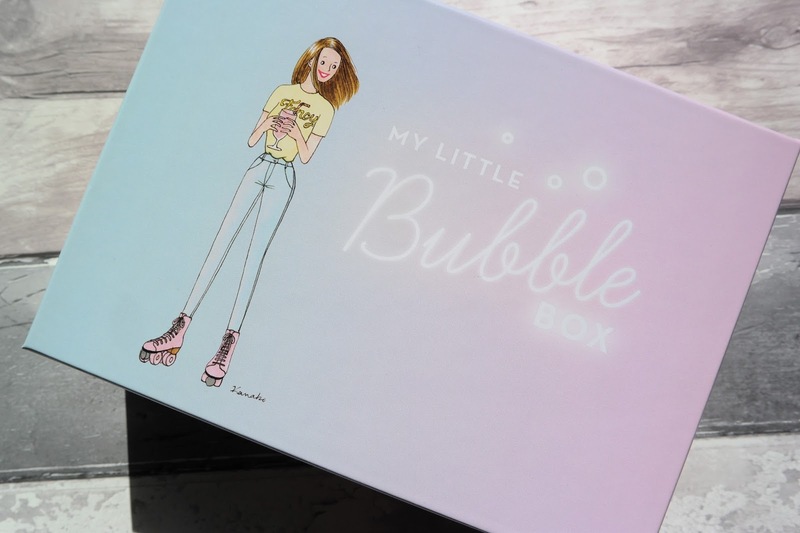 The March box : My Little Bubble Box was a little parcel of pastel perfection that arrived near the end of the month and I almost ripped the outer package apart in anticipation. 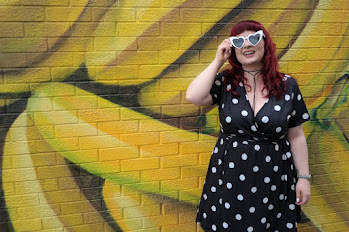 With the My Little Boxes being so varied, we've had a few questionable items in the past, such as the bracelets in the January box (review here) and a cardboard photo frame in the February box but this month the contents of the box have been right up my street. Probably as the March box certainly seems to be a little more beauty focused than previous boxes. Well ok, they did include a balloon on a piece of card, but the other contents make up for this rather odd but cute addition. First up, the star of the show for me a Givenchy mascara. Ok, it's a sample size but I'm totally cool with sample sizes if they are high-end brands and this one is going to be ideal for me travelling later this week. The full size of this Givenchy Noir Couture Volume mascara (mouthful, eh?) retails for an eye-watering £25.00 in Debenhams at the moment so this deluxe sample is a tiny bit of luxury that I'll be taking full advantage of. Next up is something you may be surprised that I've never tried before - a make up sponge! That's right, I've never given the beauty blender style sponges a go. I've always been a brush or caveman-esque bare hands kinda gal and that's for no reason other than I'm a lazy sod. This own brand My Little Beauty sponge is SUPER soft and perfectly formed. I've given it a few test runs but I think it may take me a while to get used to applying my base with it but so far it's been really lovely and washes up a treat. 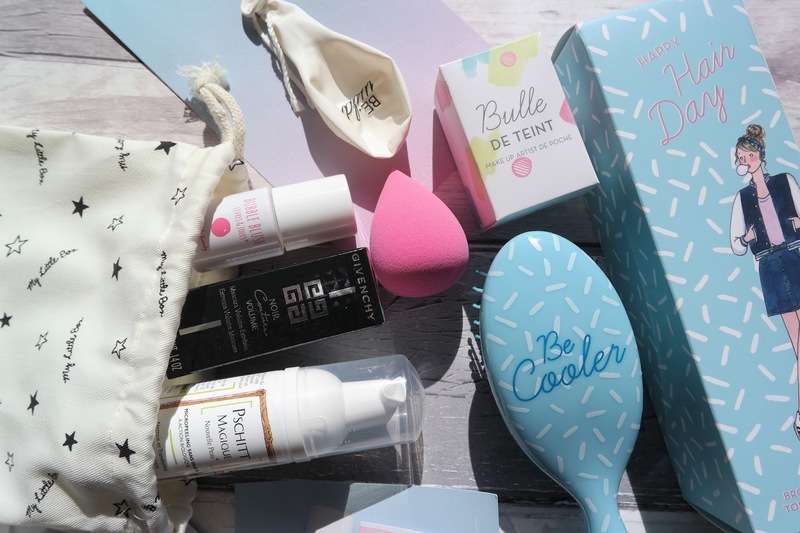 You can actually buy some of the My Little Beauty items in their store and this item retails at €10. Love Benefit Lollitint? Well this month My Little Box chucked in a bottle of their version. Bubble-Blush retails at €13 and it's a liquid blush that to me looks exactly like the cult Benefit product. I might even do a wee comparison in the future to show how similar these really are. I'll roll the last two items into one short chat here, 'cos I've gone on a bit already, haven't I?! A cute blue hairbrush in it's own wee box that say's "Be Cooler" on it. It's sweet but this one will be given to my niece. No reason other than I use a round hairbrush 'cos I've a massive fringe! Last up is one I'm still a little unsure of, as my French is not as good as it used to be but the Garancia Pschitt Magique New Skin looks to be some sort of micro face peel that retails for around €20 for this 30ml size which is pricey enough. I'm both excited and intrigued by it and I'll certainly be getting stuck into it after my holiday next week. Have you tried My Little Box yet? Don't forget you can get £1 off just by having it delivered to your office - how awesome is that? !